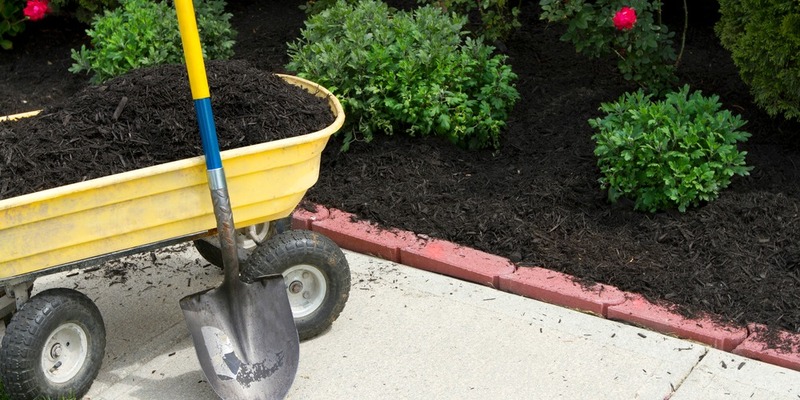 Do you need garden soil, compost or mulch for your Herriman UT garden or landscape project? If so, one call to The Dirt Bag is all you need to get the best quality landscaping materials delivered directly to your location. Throughout Salt Lake County and northern Utah, The Dirt Bag offers free delivery of our convenient, bagged materials. Save time and gas – and your back – and let us bring you as much or as little as you need of our garden soil and landscape materials. For your convenience, you can order our products in bulk or conveniently packaged in our durable one-cubic-yard bags. Whether you need just a little topsoil, mulch, play sand or our local cult favorite, Garden Soil Plus, The Dirt Bag has you covered. We offer our black and brown mulch, shredded bark mulch, compost, soil conditioner, wood chips and more, conveniently contained in our signature cubic-yard bags. Our bags are reusable or you can return them to us for a $5 refund! You can order any time online, or simply give us a call. We will deliver your landscaping materials directly to your door and drop them wherever you prefer. You don’t even have to be home when we get there, as long as you mark the area you’d like your bags placed. Best of all, we deliver our bagged materials free anywhere in Salt Lake County! For your larger projects, The Dirt Bag can deliver bulk landscaping materials throughout northern Utah. For bulk purchases, you can choose from our garden soil, topsoil, compost, Utelite soil conditioner, pea gravel, cobble and more. Give our friendly office staff a call and tell us what you need and how much. We sell our bulk products in one cubic yard increments and our prices are so affordable that you’ll wonder why you didn’t discover The Dirt Bag sooner. Check out our website to verify the bulk landscaping materials we have in stock. You can also stop by our yard or call us to find out what we have available currently. We deliver bulk products to customers in Herriman and throughout northern Utah for just a small delivery fee. Because The Dirt Bag wants to be your full-service landscape materials supplier, we also offer delivery of our exclusive Kentucky Bluegrass sod to our Herriman customers. This native Utah turfgrass is designed to provide a lush, green lawn that requires minimal care and effort. Our sod is engineered to require less water and little or no fertilization. For a small fee, we will arrange your Herriman sod delivery (minimum purchase of 2,160 square feet) to your location. Or, if you order 10,000 square feet or more, we will waive the delivery charge. When you need mulch, compost, soil or other landscaping materials in Herriman, just remember The Dirt Bag. All bag orders are delivered FREE in Salt Lake County. If you live outside of Salt Lake County there is an extra delivery fee. Please call our office to get delivery prices and to place your order. We cannot deliver in any of the canyons. Thank you.